I'm a graduate of University of London Goldsmiths in Music. I have attained BMus honors. I have been teaching at music school and centre since 2014 as a Piano and Singing teacher. My most current students who took ABRSM Singing/Piano attained Distinction. I'm capable of… *Teaching students, of all ages and abilities, beginners, as well as advanced levels, how to play the piano and sing. *Experience of running many 1hr group lessons throughout a day with a maximum of 5 children per group. *Ensuring students’ comprehension in my classes and reporting their progress to parents after my classes. *Preparing students for ABRSM exams. *I tailor my classes for children and adult learners in the most suitable ways for students. I encourage my students to take ABRSM (Accredited Music Exam) which later on, they can apply to the UCAS points. Students with ABRSM qualifications at Grades 6 to 8 benefit from UCAS (University and Colleges Admission Service) points which can be used as part of a university or college application in the UK. I also plan my classes to be well balanced between practical lessons and music theory lessons. YumiFrom Van (5/5): We are very happy and grateful that we found Yumi as a piano teacher for our 6yr old. She is very knowledgable, professional, friendly and patient and creates a comfortable and fun lesson which our daughter really enjoys and seems to be progressing really well. I would highly recommend Yumi to anyone at whatever level as she is absolutely great and will cater her lessons to what you want to get out of them. Reply from: Yumi: Thank you so much for your great feedback!! I am very grateful to hear such words.Thank you very much for taking the time to write it for me. :)! YumiFrom Rohit (5/5): Yumi is an excellent teacher. The biggest plus point for me is that my daughter loves her to bits and she likes practicing because she doesn’t want to upset Yumi. A very structured approach through a combination of an affirmative teaching style and some fun for the kids. Reply from: Yumi: Dear Rohit, thank you very much for such a positive and really benevolent feedback of my lessons. It made my day! I am so delighted that you like me as your daughter's Piano teacher! Thank you so very much for taking the time to leave me the amazing feedback!! 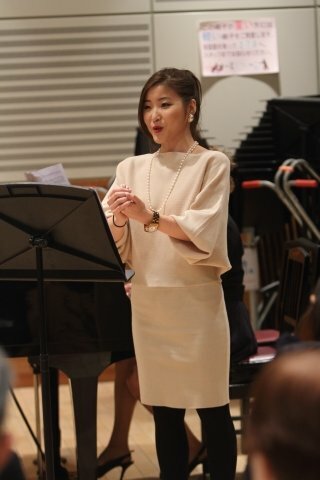 YumiFrom Debbie (5/5): Yumi is a friendly and lovely piano teacher. She has such great energy and she brings that to every lesson, which is motivating for my daughter. I would definitely recommend Yumi! Reply from: Yumi: Thank you very much for taking the time to leave me such a heart warming and positive feedback! I really appreciate it with all my heart!! YumiFrom Amit (5/5): Yumi is a wonderful teacher, in addition to teaching piano she also introduced our children to music theory. She's very focused and friendly and really encouraging which helps motivate the children. Reply from: Yumi: Thank you so very much Tania for such a lovely feedback. It's absolutely my pleasure to teach your daughter and I really appreciate that you took the time to write the feedback. Thank you so much! the lessons are all ways fun and relaxed. I would Highly recommend Yumi as your Tutor. Reply from: Yumi: Thank you very much Paul! It means a lot to me! It's always a pleasure for me to teach you!! YumiFrom Mukti (5/5): Brilliant teacher with lots of enthusiasm for the class. The class is structured and well organised. My son loves his class and I can see the improvements already. Reply from: Yumi: Thank you so very much for kindly taking your time and leaving such a lovely feedback, Mukti! I'm very grateful to have met a great family like you and I sincerely enjoy teaching your son :)! I'm incredibly happy to know he enjoys my lessons! Lots of big thanks to you! !